WebGUI was first released in 2001 and currently powers over 10,000 websites worldwide. The WebGUI Sightings are a collection of screenshots which showcase many different types of WebGUI-based websites. The images are arranged in 4 categories, (business, government, education, non profit), and you can view the different categories by using the navigation menu below. 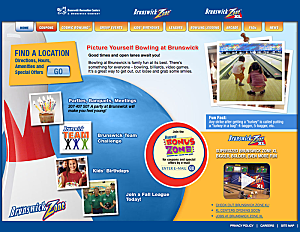 Brunswick Bowling and Billiards is the largest manufacturer of Bowling and Billiards equipment in the world. 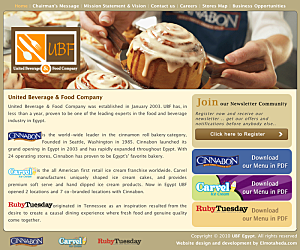 Cinnabon® is the world-wide leader in the cinnamon roll bakery category. 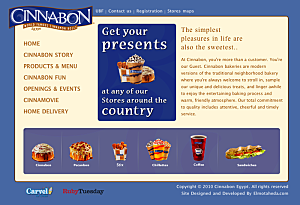 Founded in Seattle, Washington In 1985, Cinnabon opened its first bakery on December 4, 1985 at Sea Tac Mall. The brand has grown dramatically since then. 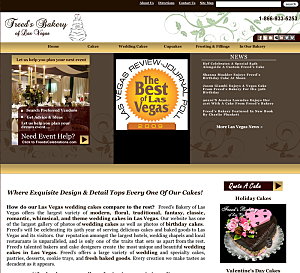 As of July 2005, the company had over 600 bakeries worldwide. These bakeries are located in 43 states, Puerto Rico and 30 other countries, leading to exceptional brand awareness around the world. Mallard Creek Polymers has been a leader in the ever-changing polymer industry for over 40 years. 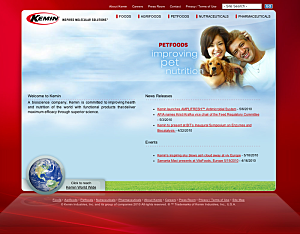 A nutritional ingredient manufacturer, Kemin is committed to improving the health and nutrition of the world with functional products that deliver maximum efficacy through superior science. The business includes 11 independent companies, serving five industries in over 60 countries. 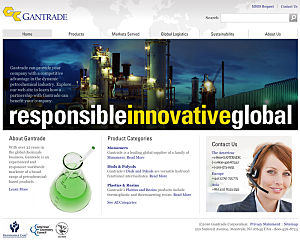 With over 35 years in the global chemicals business, Gantrade is an experienced and responsive worldwide marketer of a broad range of petrochemical-based products with operations in the United States, Europe and Asia. Midwest Heart Specialists (MHS) is a nationally recognized group of over 50 physicians including board certified cardiologists, electrophysiologists, interventional radiologists and heart failure specialists making us one of the largest cardiovascular practices in Illinois. In addition to being board-certified in cardiovascular disease, many MHS physicians are also certified in critical care medicine, internal medicine and emergency medicine. 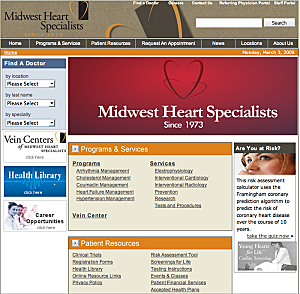 Midwest Heart Specialists provides easy access for patients at its multiple locations throughout the western and northwest suburbs of Chicago, Rockford, Illinois and surrounding areas. 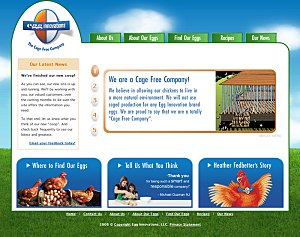 Egg Innovations is a leading producer of cage-free and organic eggs, packaging more than 15 million eggs each month from more than 30 family farms, most of which are owned Amish and Mennonite farmers. The cooperative supplies Omega 3 and vegetarian eggs (produced by hens with a vegetarian diet), as well as cage-free and organic products. It distributes eggs to retailers, foodservice operators, and wholesale markets. 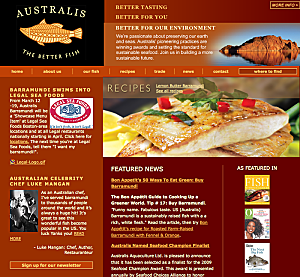 Australis Aquaculture, Ltd. is an award-winning provider of delicious, healthy, sustainable seafood marketed under the banner of The Better Fish® - Better Tasting, Better For You, Better For Our Environment. Our company spearheaded the introduction of Barramundi in North America and has proudly seen it grow from a favorite in Australia into an international culinary trend. United Beverage & Food Company was established in January 2003. UBF has become one of the leading experts in the food and beverage industry in Egypt. 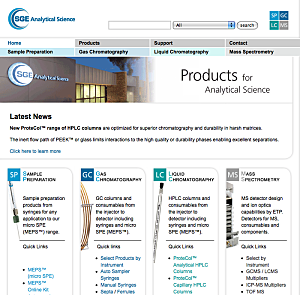 SGE manufactures a vast array of products for chromatography and mass spectroscopy. SGE is an ISO accredited company with over 370 employees and a distribution and support network in nine countries, including worldwide distribution partners. We are proud of the fact that all major instrument manufacturers in our field rely on and incorporate SGE manufactured components in their systems. For the future we remain heavily committed to our research and development, to allow us to continue to bring innovative technologies and solutions to our valued partners in analytical science in all corners of the world. The Game Crafter (TGC) is a company that produces a series of card & board games. In addition, The Game Crafter recently launched a WebGUI-based online game builder which allows visitors to upload graphics, add game pieces & accessories, and professionally publish their games. The beauty of the system is that it is completely automated and people can built just one copy of the game or thousands! 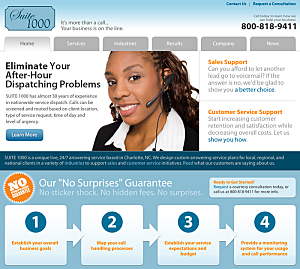 Suite 1000 is a business answering service and customer service center call center that has been delighting callers for almost three decades. 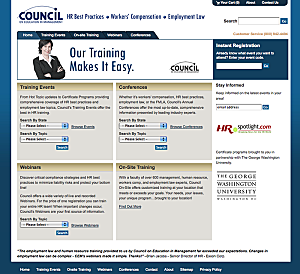 HRspotlight.com is a website operated by the Council on Education in Management. 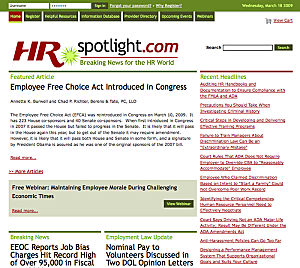 The site focuses on breaking news stories in the HR (human resources) world. 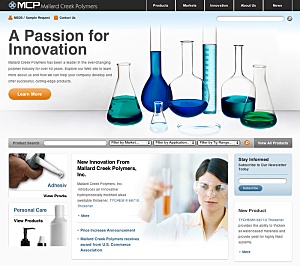 This site was developed by Knowmad Technologies. 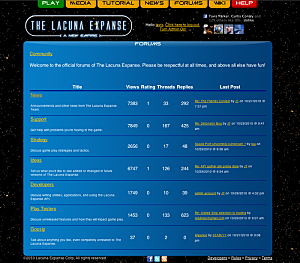 The Lacuna Expanse is a massively multiplayer online space strategy game. WebGUI powers the community website and it includes several forums, a wiki, and news releases. For over 35 years, Council on Education in Management has provided total solutions to the workforce challenges facing both public and private sector organizations. We offer a range of options to provide employers the vital and cutting-edge employment law, workers' comp, and HR best practice information that they need. Council has trained over 1.5 million professionals across the nation, who trust us to deliver the highest-quality information and speakers. Sunterra, as a subsidiary of L.R. 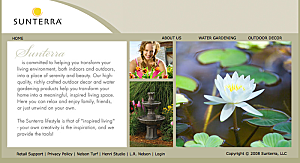 Nelson Corporation, has worked with water for nearly 100 years. This long history of quality, expertise and customer service has given our retail partners the trust and confidence to carry our products and provide them to you. Located in the family-oriented community of Peoria, Illinois, Sunterra is a consumer-driven organization that manufactures product both domestically and throughout the world. We actively develop new, unique, and innovative designs that fit our customer's lifestyles, and strive to bring this creativity to you. We sincerely appreciate your interest in our family of products and our company. 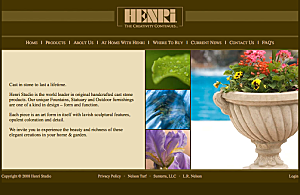 Henri Studio is the world leader in original handcrafted cast stone products. Our unique Fountains, Statuary and Outdoor furnishings are one of a kind in design – form and function. Each piece is an art form in itself with lavish sculptural features, opulent coloration and detail. 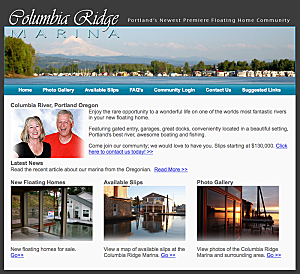 Portland's newest premier floating home community on the Columbia River. Enjoy the rare opportunity to a wonderful life on one of the worlds most fantastic rivers in your new floating home. Featuring gated entry, garages, great docks, conveniently located in a beautiful setting, Portland's best river, awesome boating and fishing. Oelan is the new name for a dutch company which will help companies in Project management and software testing, keeping the good balance in working and private life.